Mario Gaspar's scrappy finish earned Villarreal a point against Atletico Madrid in an even game in Castellon on Saturday night. 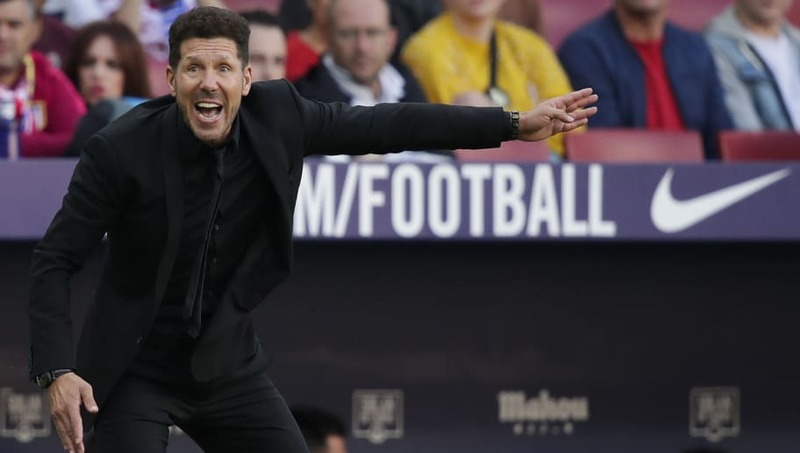 Filipe Luis had headed in to give Diego Simeone's side the lead but Gaspar converted in the 65th minute after some pinball action in Atleti's box to ensure the game ended all square. This was always going to be a tough game for ​Atleti, who haven't been able to capitalise on Real Madrid and Barcelona's sluggish starts to the season. They came up against a determined Villarreal side on Saturday and couldn't hold on to the lead Filipe Luis gave them early in the second half, with Diego Godin's absence in central defence notable. Atletico could have gone top in La Liga with a win, but their below par performance means they could only take a point away from Estadio de la Ceramica. Starting XI: Oblak (7); Juanfran (7), Gimenez (7), Hernandez (7), Luis (8); Saul (7), Partey (6), Rodri (7), Koke (7); Kalinic (6), Griezmann (7). Substitutes: Correa (6), Lemar (6), Godin (6). ​STAR MAN - Taken off for Godin late on, Filipe Luis put the visitors ahead after converting from the melee that ensued after Antoine Griezmann's free kick. He was solid down the left and made three tackles, even if he couldn't help Atletico keep a clean sheet. WORST PLAYER - Nikola Kalinic is probably not Atletico Madrid quality. He's certainly no ​Diego Costa. Simeone not as happy as I'd assumed with first half it seems - Thomas Lemar on for Kalinic at the break, and Correa for Rodrigo. In the Spain international's absence, Kalinic has started for Atleti in recent weeks but doesn't seem to compliment Griezmann up front. Atletico have ​Champions League football to look forward to on Wednesday when they play Bundesliga leaders ​Borussia Dortmund in Germany. They resume La Liga duties afterwards with a home tie against Real Sociedad.